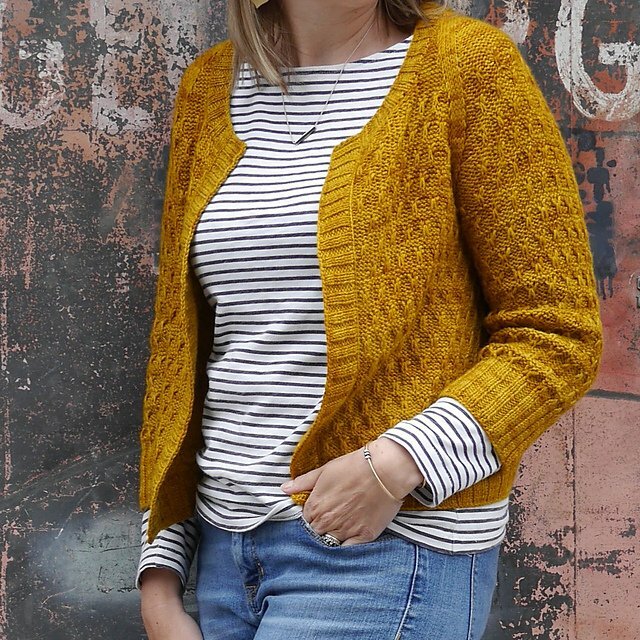 Create your own Beekeeper Cardigan with Mary Ann. This top down cardigan is seamless with a unique saddle shoulder shaping that hugs your shoulders. The rhythmic "Little Bee" pattern is addictive and fun to work. With 3/4 sleeves, this sweater will become your go to cover up on cool spring days. Read pattern all the way through. When selecting a size, keep in mind that this pattern calls for 3-4" positive ease. Check size of sleeve at widest part. If that doesn't work, figure out how wide you want it.